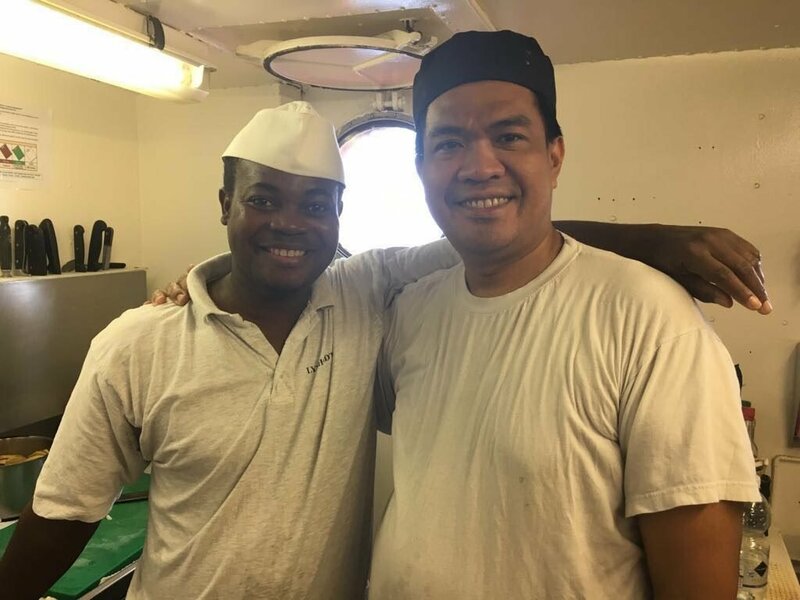 Rabbi and Krisman are two chefs in charge of the cuisine aboard the Aquarius migrant rescue ship. Rabbi on the left comes from Ghana, and Krisman on the right from Indonesia. The two chefs have been working together for three years.